It’s easy to make a mess during any construction project and tenant improvement construction is no exception. Our goal is to make you as the tenant improvement specialist look great to your clients by keeping your job site cleaned up. But keeping your job site clean does more than just help it look good. 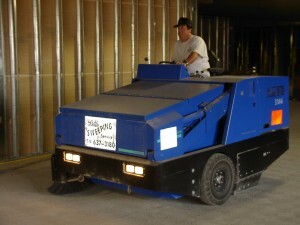 Clean floors make for a safer work environment for all of your specialists. Well swept floors reduce the likelihood of slip and fall accidents and help prevent dust on the ground from being kicked up, clouding the air. Start with a clean slate and work in a clean, safe facility.